Espadrilles are Spring's go-to shoes and is no more a secret that I became a fan lately. As a color lover I had to include a colorful pair in my mini collection: This Celine bold orange calf skin pair is the perfect one, don't you think? Top and blazer are my favorite pieces! what a fun vibrant colours. no wonder you such great smile on your face. 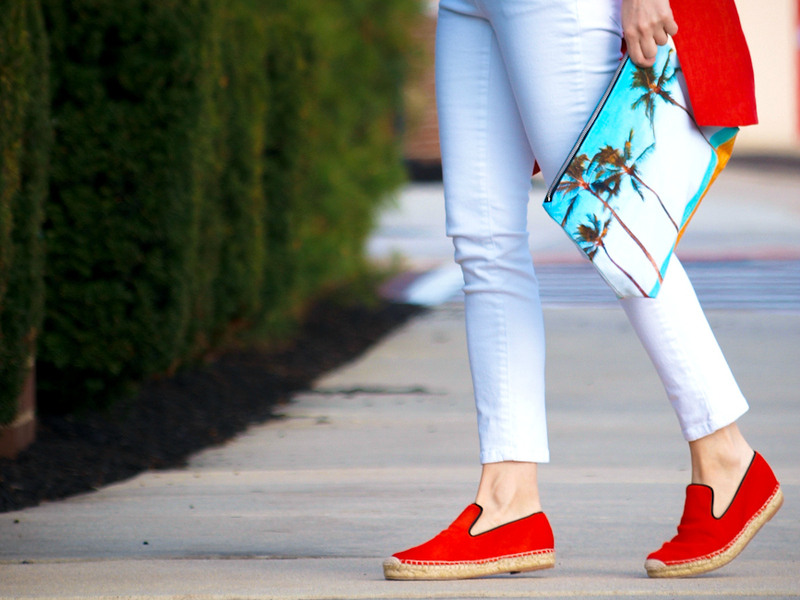 Yes, those Celine espedrilles are literally the perfect shoe for spring!!! Love the clutch and your tee!! 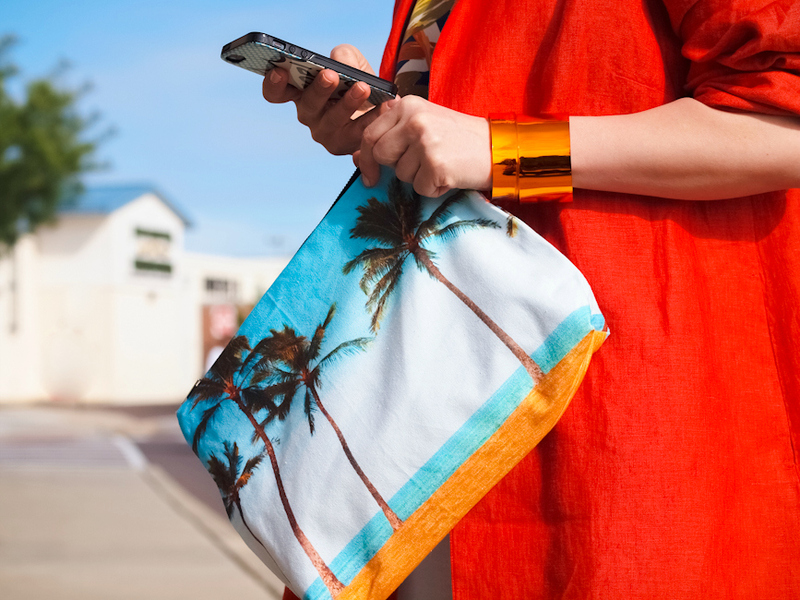 Makes me want to book a beach vacation asap :) and loving that kate spade phone case! I love the tropical prints, that clutch and your sunglasses. Such a fun look! perfection, red is so cool on you !!! Oh my, gazing at those prints make me dream of Summer so badly!!! Alas, not in the city..
As always great look!! Love the colors!! 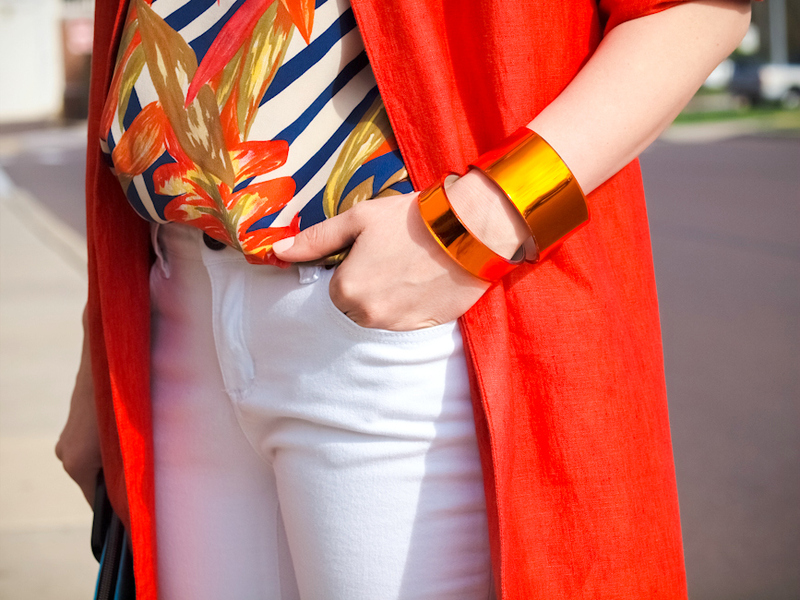 I love this colorful beachy look! One of my favorites looks sincère i discovered your blog: th espadrilles and the clutch are perfect! I love all the parts of your outfit. All is so optimistic :).